The battle for the top spot in flagship supremacy is getting tighter, and Google is the latest to showcase its crown jewel―the Google Pixel 3. In one glance, it looks almost the same as the Pixel 2, only much better. But, it also packs a lot more under the hood, especially when it comes to the camera. Let’s dive right into it. If you own the latest Pixel, you own the best and latest in Android. That is a given and Google ensures that it delivers on that front. The Pixel 3 is the ubiquitous Android machine that runs on the Qualcomm Snapdragon 845, which has become the norm for all flagships in 2018. The latest in Android―9.0 Pie―runs smoothly on the Pixel 3 and has put a lot of emphasis on gestures. Google has also placed all its bets on its AI-powered single lens rear camera with HDR+, while it has decided to go with a dual camera on the front for regular and wide selfies. Without further ado, let’s jump into the nitty-gritties. 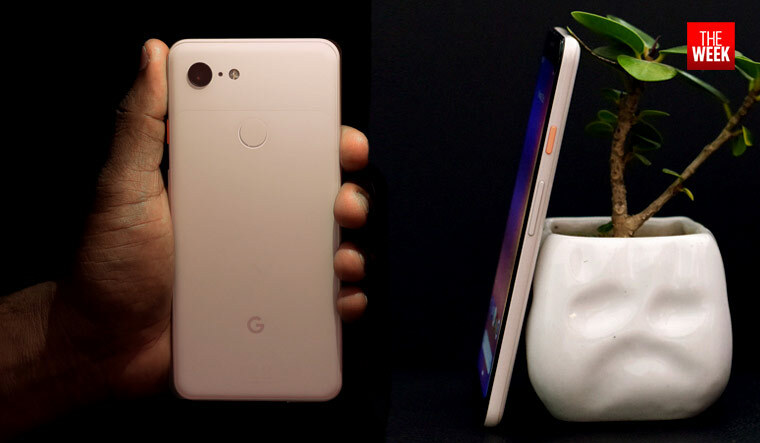 The Google Pixel 3 retains the two-tone design sported by its predecessors. 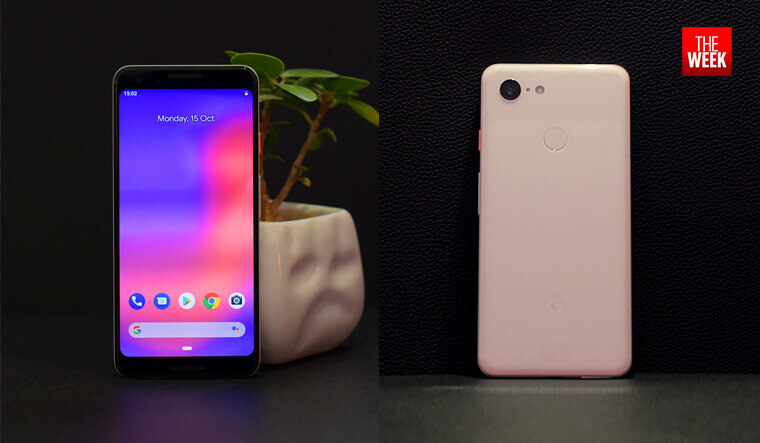 The ‘Not Pink’ back sports the glossy glass finish on the top, while the lower 80 per cent has a matte finish with Google’s ‘G’ logo imprinted towards the bottom third. The transition between the two finishes is minimal and goes easy on the eyes. Gorilla glass encompasses the Pixel 3 on the front and back and is surrounded by an aluminium frame, which is the only metal on the body. Pixel 3 does not have any buttons on the left pane. The right pane has the ‘Power on/off’ button and the ‘volume’ rocker. The ‘Power’ button on the ‘Not Pink’ model has a neon shade of orange which adds contrast. Google has also left the top pane free of buttons, except a secondary mic. 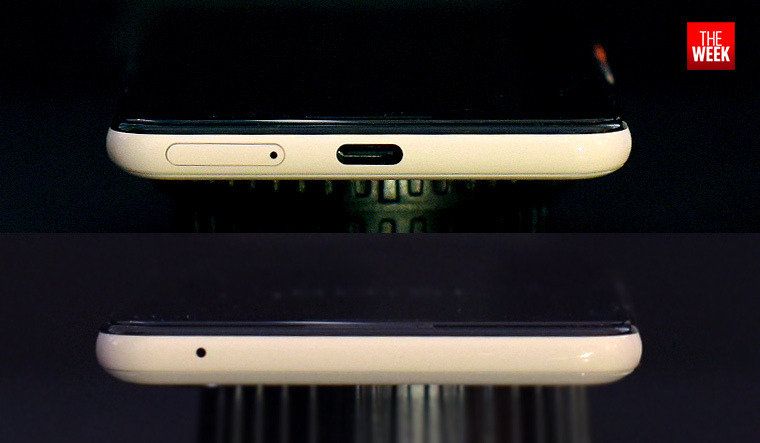 The bottom pane has the SIM card slot and the USB type C charging slot, which is also the headphone jack. The fingerprint sensor is located in the back and if Google’s claims are to be believed, it works faster than the ‘iris’ scanners! The Pixel 3 sports a 5.5 inch 2160 x 1080 pixel P-OLED capacitive screen with 443 pixel density. It works quite well in sunny conditions and also offers a ‘night’ mode to go easy on the eyes. 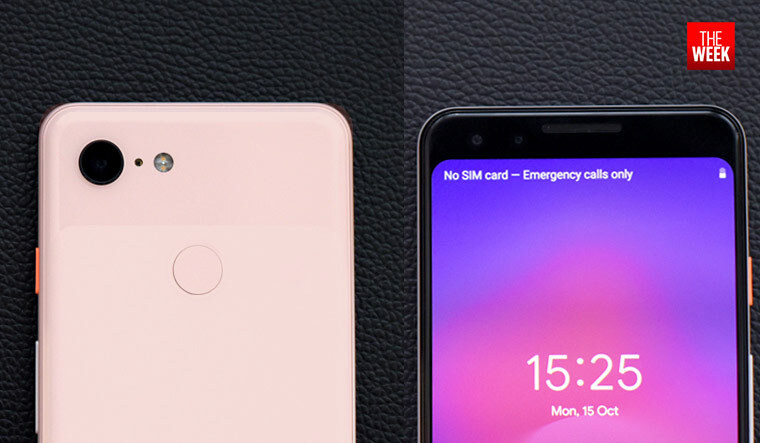 The Pixel 3 has lesser bezel than the Pixel 2, making it look smaller but with a larger screen. The Pixel 3 sports dual speakers on the front―a welcome sign for users, since there are very few phones that offer dual speakers now. The Google Assistant can be launched by squeezing the bottom half of the phone. It’s handy and feels comfortable rather than having a dedicated button for it like Samsung has for ‘Bixby’. The intensity of the ‘squeeze’ can also be adjusted so that you don’t accidentally activate ‘Google Assistant’ just by holding the phone. Google has upgraded the battery on the Pixel 3, which now packs 2,915 mAh, compared to the Pixel 2’s 2,700 mAh. The battery lasts long even for a heavy user for a day at the least. Moderate users can use the Pixel 3 for a day and a half at least without having to search for a charging port. Google has also decided to move with the trends and now offers wireless charging, which is a welcome sign. The earphones were a bit of a let-down because of the all-plastic finish without any soft silicon padding or any padding for that matter. 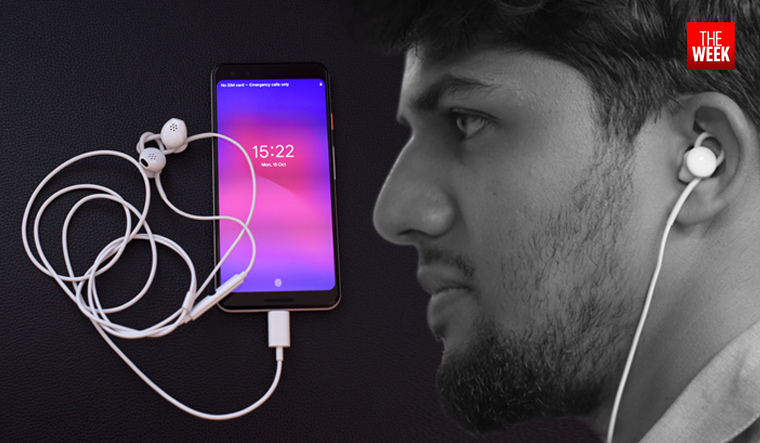 Pixel 3 earphones have used the cable to keep the earphones in place. The cable forms an arch inside the ear. This can be adjusted according to the user’s needs. But, for someone who is buying a flagship smartphone, this might be a bummer. Pixel 3 runs in the latest of Android―9.0 Pie. Google Assistant has a few new tricks under its sleeve, too. Google has introduced the Call Screen (only for US customers), which lets you screen your calls so you know who is calling. The Assistant can also wake you up with Sunrise Alarm―which will display warm sunrise colours just before the alarm goes off. Google Lens has also been upgraded to identify numbers, QR codes and even addresses in real time and make suggestions. Playground on the Google Pixel 3 lets you play around with AR stickers and superheroes in the camera viewfinder. Adaptive battery and Digital Wellbeing are two other features on the Pixel 3. Adaptive battery lets you conserve energy by limiting the power used by apps and services that you are not using. Digital Wellbeing works like a class monitor, giving you a low-down of the usage of each app and even gives you the option to set timers. This is one area where every smartphone manufacturer is battling for supremacy. Most ad campaigns give more than enough focus on their respective camera capabilities. Google has decided to stick with the 12MP camera that was seen in the Pixel 2 and Pixel 2 XL. The rear camera sports a 12.2 MP f/1.8, 28mm (wide), 1/2.55”, 1.4 mm, PDAF (dual pixel) with face detection autofocus and both optical and electronic stabilisation. 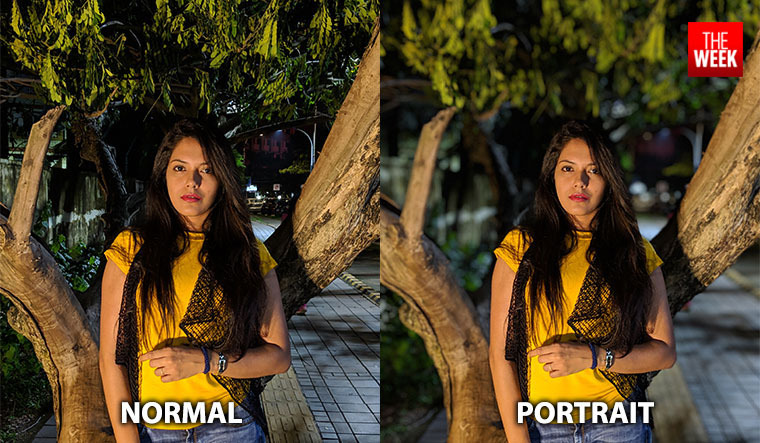 Google’s HDR+ hardware adds the oomph factor to the Pixel 3 camera. The front camera now offers dual 8MP shooters. One is an 8MP, f1/8, 28mm which offers a regular 75-degree field of view while the other is an 8MP, f/2.2, 19mm with a 97 degree field of view, but offer no autofocus. Both cameras gave good results, keeping a balance between brightness and contrast. Unlike Samsung’s Note 9 which reduces the contrast, the Pixel 3 gives a more ‘real’ feel. We tested the camera in both ‘indoor light’ as well as in the dark to see how they came out, and it’s safe to say we were satisfied. 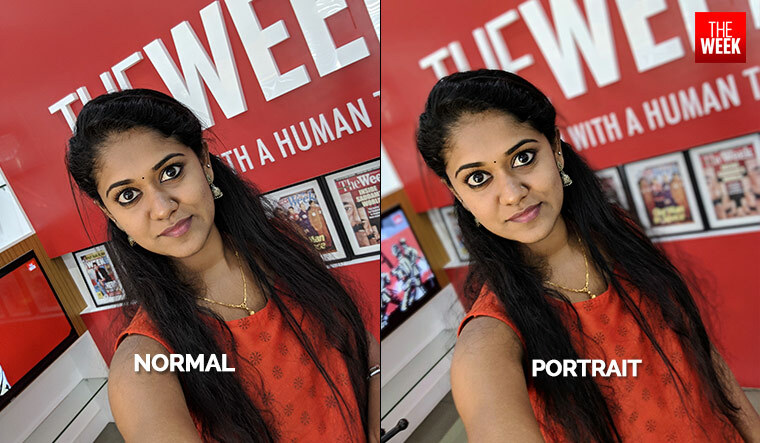 Even the ‘bokeh’ or ‘portrait’ mode gave really good results. There is more detail and less noise in the Pixel 3 photos, which is a plus. We will be testing the Pixel 3 against other flagships, but that will be another review. 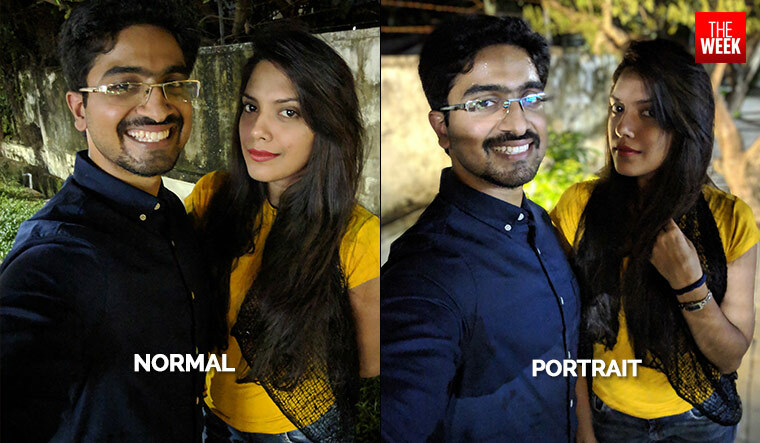 Overall, we were more than satisfied with the pictures taken from the Pixel 3. As mentioned before, there is much less noise and the Pixel 3 gives a lot more attention to detail. Pictures don’t look overexposed. 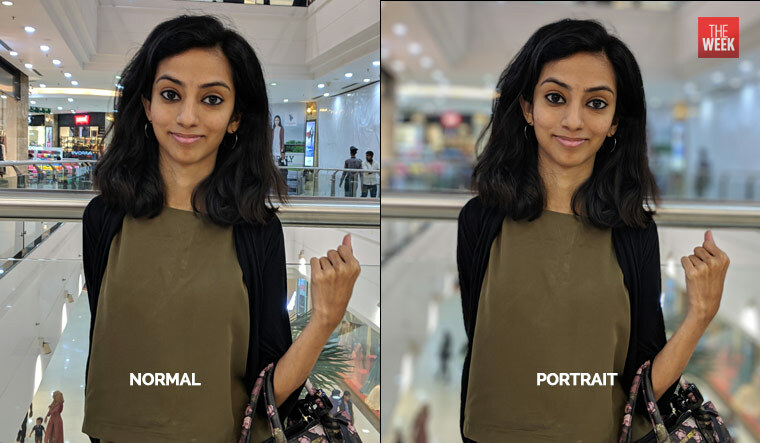 It performs exceptionally well in indoor lighting and is at par with other flagships in outdoor low light photography as well. The Google Pixel 3 is definitely worth it considering it’s priced lesser than the recently launched iPhone XS, but a tad more than the Samsung Note 9. For someone who already owns the Pixel 2, the camera is a significant improvement along with a few features here and there, but nothing overwhelming, if camera isn’t your priority. I have been using Samsung’s flagship series for the past four years, and the Pixel 3 has definitely caught my interest. The photos appear much more natural than the Note 9, which in no ways offers below par quality. The battery on the Pixel 3 also does justice to the mean machine it runs under the hood. The Pixel 3 is definitely something that you would want to try if you are looking for something classy, minimalistic, fast and secure, and produces outstanding images. It’s how Google likes to keep it and the Pixel 3 is testament to that.